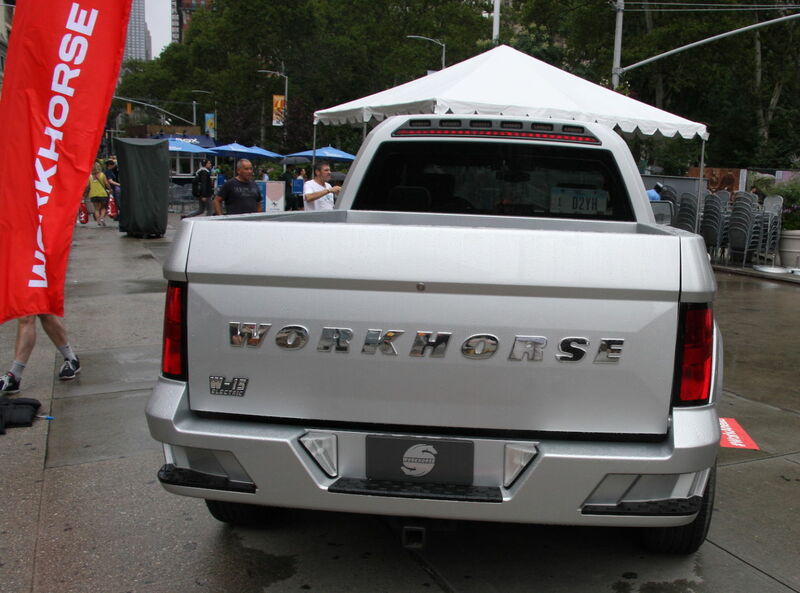 Workhorse, with its 120 employees, hopes to beat larger players to market. 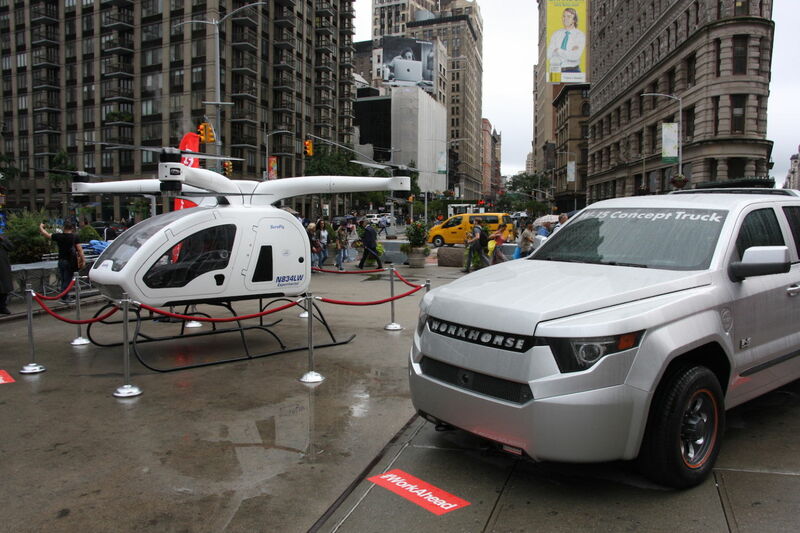 I wasn’t sure entirely what I expected an electric helicopter to look like, but what I found waiting for me at New York’s Flatiron Plaza wasn’t it. It’s not because it didn’t look like a helicopter; to an extent, it did. 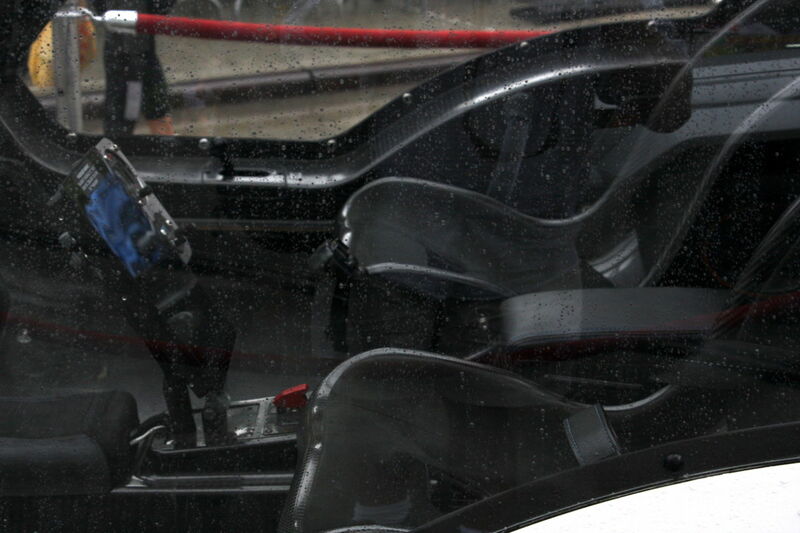 It just looked more like a grossly oversized drone with seats. 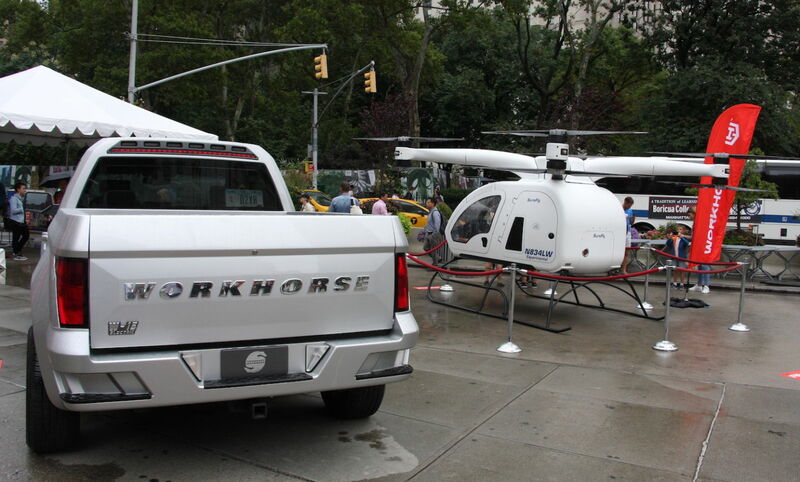 Workhorse, the company that makes the helicopter, wasn’t giving anyone rides in the hardware, which is still undergoing FAA testing. 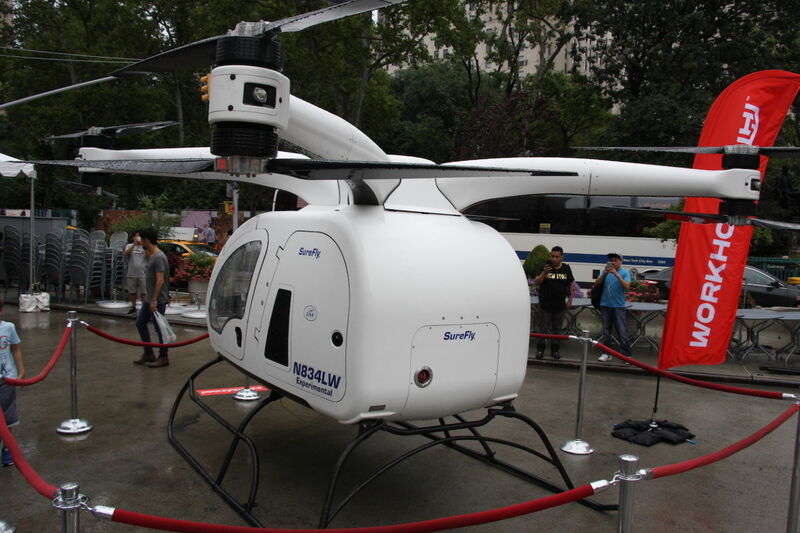 But company CEO Steve Burns was there to talk about the ‘copter, which is being called the SureFly. 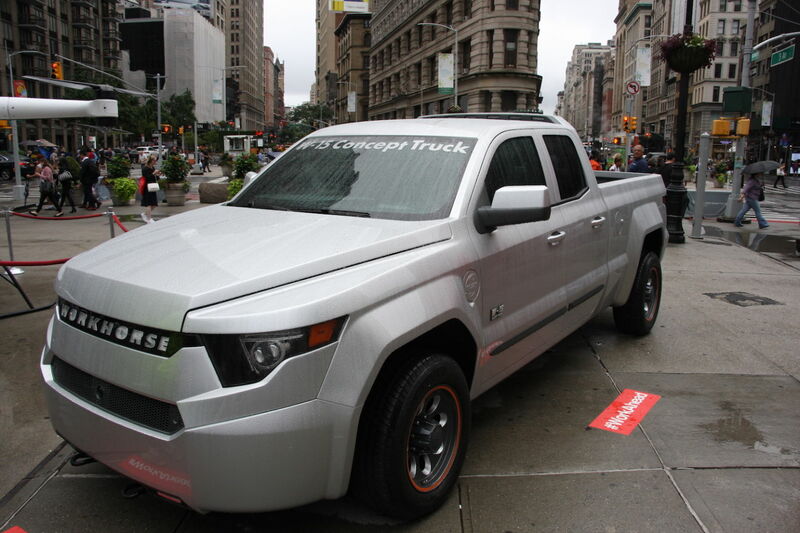 And, for good measure, he also showed off an electric pickup truck, which went by the less dramatic monicker W-15. If pickup trucks and helicopters seem largely unrelated, it’s only because they’re at opposite extremes of the company’s business interests. Workhorse is currently building electric delivery vans and testing one with a drone-based delivery system integrated into the van roof. 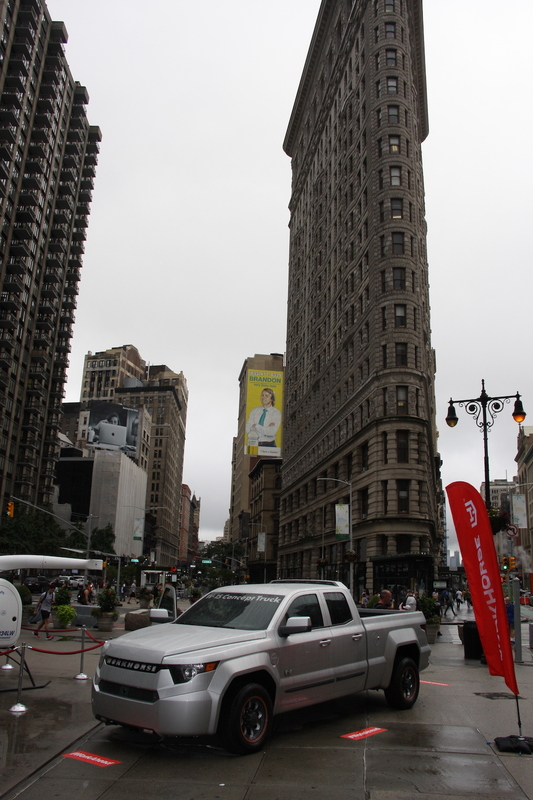 (During our conversation, Burns mused about the prospect of using a drone to deliver burgers from a nearby Shake Shack to a 25th-floor balcony on one of the buildings that overlooked the plaza.) So both are in keeping with the company’s interests. But a helicopter is a big step up from a drone. “Why now?” Burns asked, preempting the obvious question. 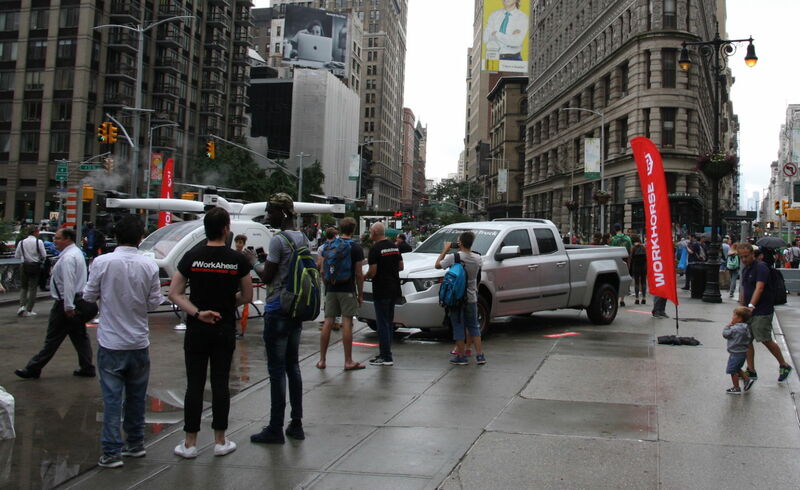 “The building blocks are all there.” In fact, the power systems of the helicopter and pickup truck are based on identical principles—ones that have reached the mass market in forms like the Chevy Volt. 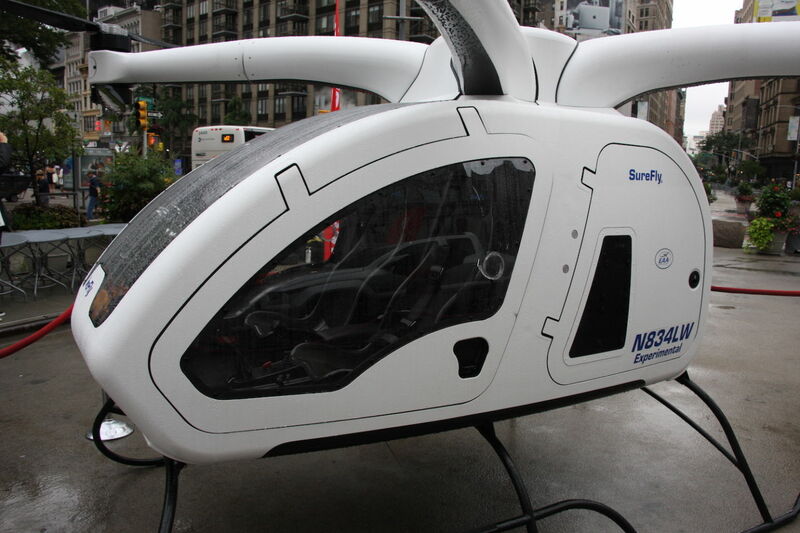 Even though the helicopter is electric, it’s not battery-powered. Instead, its battery acts as an emergency backup in case of a failure of its primary source of electrons, a small diesel generator. That approach is what allows the SureFly to achieve a lot more flight time than all-battery helicopters, which typically max out at about 20 minutes. The SureFly can stay airborne for roughly an hour. 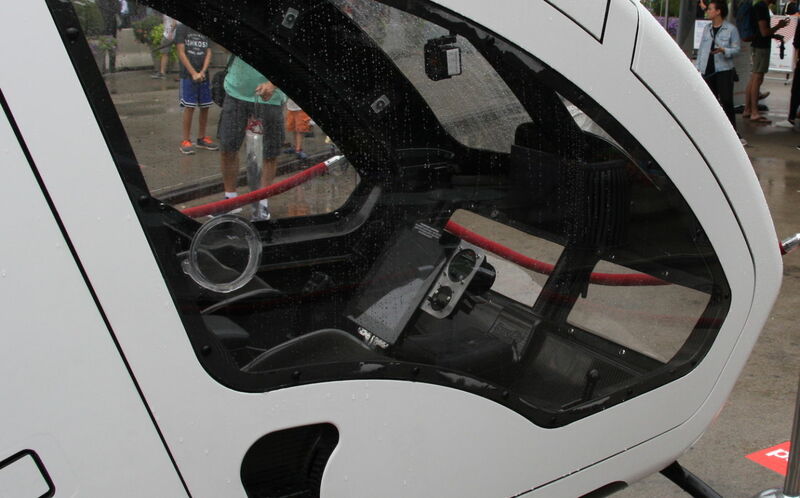 The electric power system also allows the helicopter to lose its large central blade and tail rotors while gaining a drone-like configuration of four arms that end with two counter-rotating propellers.